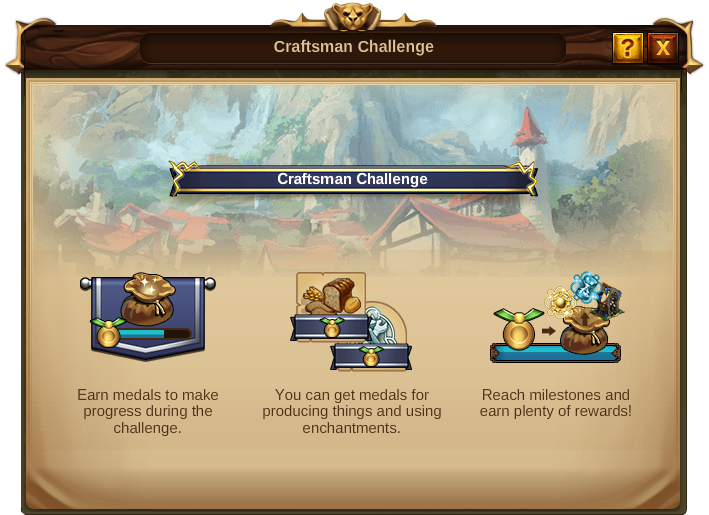 Challenges are Mini Event game features that will occur from time to time. 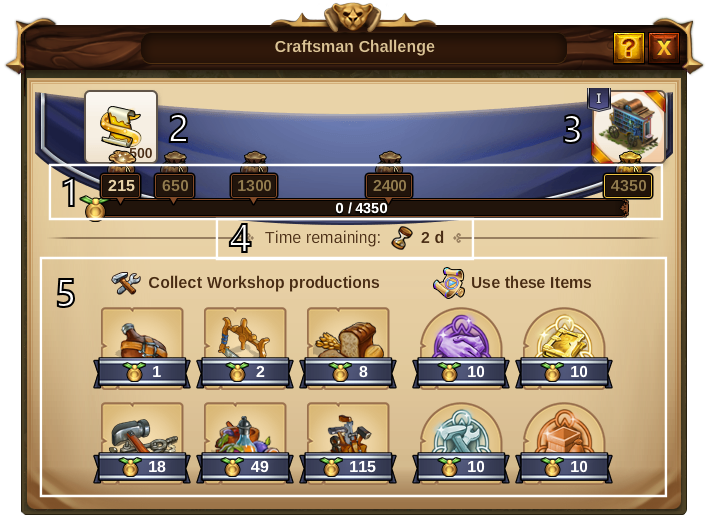 Usually lasting 3 days, they will ask you to perform certain tasks such as complete Workshop Productions, Goods Productions or use Enchantments. 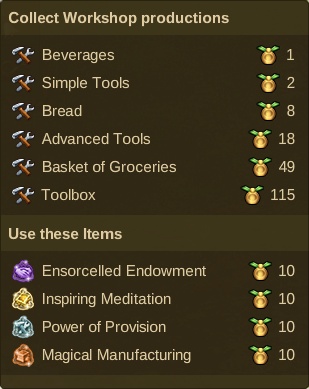 If you hover over the symbol , you can see how many Medals are earned for each task performed. 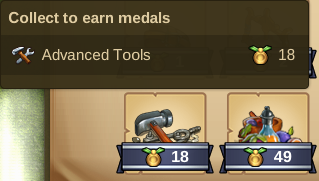 Follow these instructions to earn all Medals needed to reach the next Milestone. 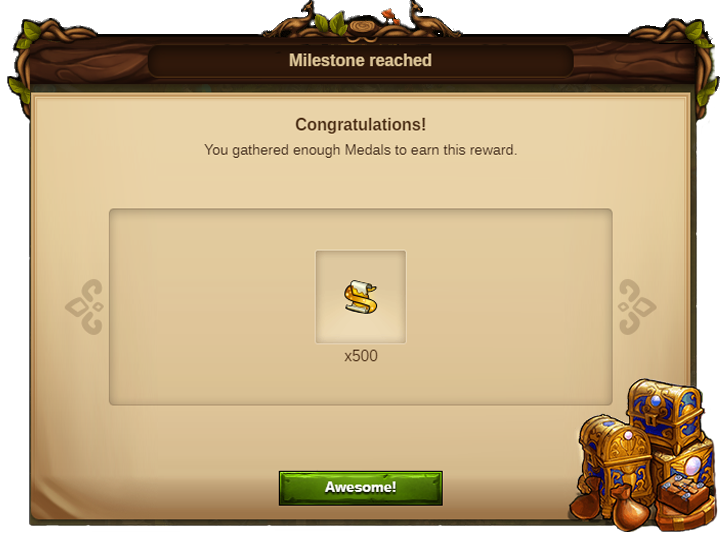 After certain Milestones have been reached, you will receive the rewards displayed above the progress bar. 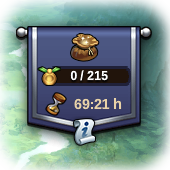 Fill the entire bar and you will have mastered all Challenges and be presented with the final reward. This page was last modified on 3 February 2019, at 18:00.